Cake Lingerie Giveaway – WINNER! « Are You Preggers? 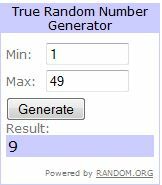 Cake Lingerie Giveaway – WINNER! Congrats to Karen G. on winning the Cake Lingerie Shortbread maternity bra and brief set! Maternity Specialists, Cake Lingerie, are pioneering the future of highly constructed and beautifully designed, maternity/nursing lingerie and nightwear. Cake Lingerie empowers women with a variety of fashion driven and everyday products that are comfortable and supports a changing body. Their products consist of 3 ranges including, Fashion, Versatile and Nightwear, to ensure a style for every occasion, need and preference to suit the wearer throughout pregnancy and post birth. Cake Lingerie is an Australian based, international designer brand founded in 2008 when Creative Director, Tracey Montford, yearned for beautiful lingerie during her first pregnancy. Her dream was to create lingerie to make women feel like a woman, not just a mother or mum-to-be. With astonishing attention to detail, soft, luxurious fabrics and impeccable designs to flatter any bust line, Cake Lingerie is the essential brand for expectant and nursing mums. Cake Lingerie products are available in sizes 10B- 18J and S to XXXL. Pregnancy is a slice of life, and better with a piece of Cake! Like Cake Lingerie on Facebook.